We at Geeks and Nerds online are proud that one of our all time Favorite Bloggers, Amit Agarwal of labnol.org has released a great new eBook on Amazon, which showcases some 150 undiscovered and extremely useful websites and blogs, further details about the book have been kept a secret, probably intentionally. 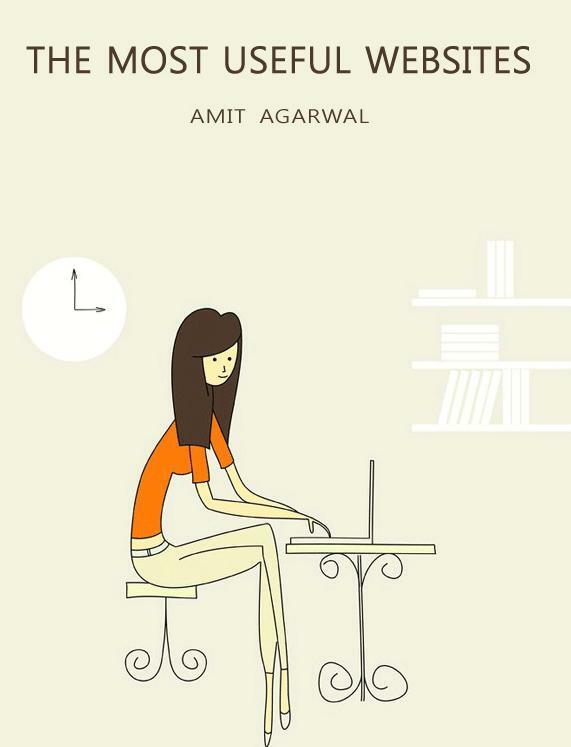 This edition of the "The Most useful Websites" by Amit Agarwal is the Kindle edition, but can also be read on various Mobile devices such as iPhones, Android Phones etc. Amit Agarwal has hinted on his website, that he will soon release versions compatible with iBooks, Sony reader etc. I picked up my copy of "The Most useful Websites" by Amit Agarwal here. Amit has priced the book at 3.99$ but Amazon Whispernet delivery charges have increased the price of the eBook to 5.99$, still a small price to pay for the quality it holds within.